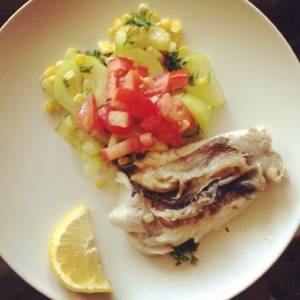 Black cod fillet with zucchini and sweet corn. This dish is not only tasty and easy to prepare, but also very colorful! I was looking for a good recipe for black cod fillets when I stumbled across Use real butter’s blog post – scroll down for the full recipe. 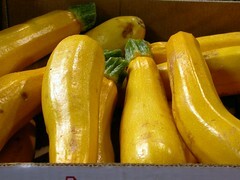 Here’s what you need for the zucchini and sweet corn side dish. An online recipe inspired me to try this zucchini and squash frittata. The end result was an omelette with lots of veggies: both the zucchini and the squash give it a sweet taste, while the Feta cheese balances the sweetness with a salty taste. When my friend sent me this recipe for a vegetarian zucchini pizza, I was skeptical. One bite later, I was a fan! It’s hard to believe that the combination of zucchini, garlic, onion and cashew-based sauce (no mayo, no cheese, no ketchup!) can be so tasty! I don’t know how you usually cook zucchinis, but this can be a tasty alternative. It’s a bit more time-consuming, as it requires that the zucchinis are first grated, then boiled and then tossed in the oven. Although you could use any type of cheese, I would strongly recommend you stick with feta for this recipe. You’ll need: 5-6 zucchinis, 200-300 gr. 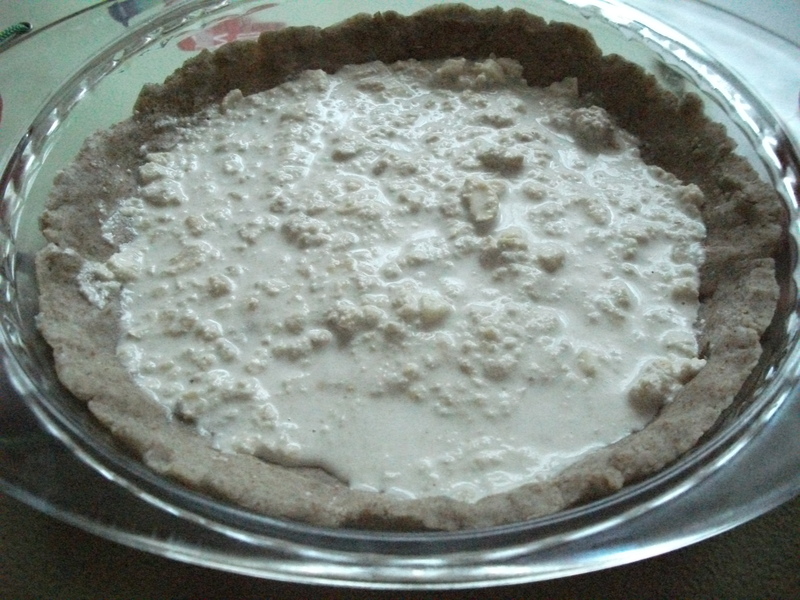 feta, 1 tbsp white flour, 1/2 cup milk, 1 tbsp butter. Peel the zucchini and coarsely grate them. Bring water to boil, then add the zucchini and continue boiling for 10 -15 minutes. In a small frying pan, melt the butter and add the flour. Incorporate the milk, little by little, stirring continuously. Drain the zucchini and put them in an oven-proof dish. Add the white sauce and crumble the feta on top. Mix and put in the oven for 30 minutes or until done (350F). Got those fall yellow and green zucchini and don’t know what to do with them? Try a stew – you can then pair it with meat, or just eat it on its own, or with, say falafel. It’s not difficult at all to make it and it stores well in the fridge for up to a week. You’ll need some 5-7 zucchinis, 2-3 cooking tomatoes (or canned diced tomatoes), 1 onion, basil, parsley, salt, pepper and a bit of oil. 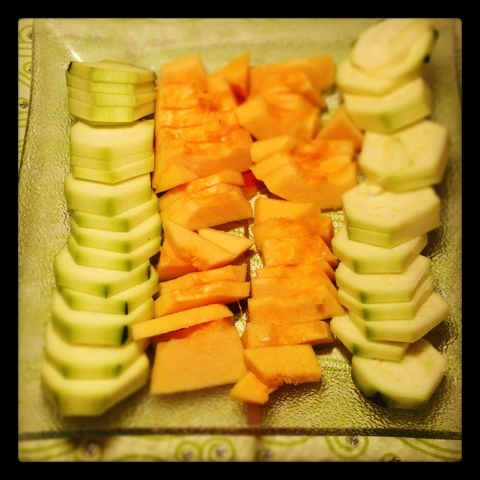 Peel and cut zucchini into cubes. Set aside (but don’t leave for too long, as they change color. If you need to store for a few hours or so, cover them with cold water or milk). If using raw tomatoes, sink them in boiling water for a couple of minutes, then remove skin and cut into pieces. Set aside. Peel and cut onion. In a cooking pot, add a bit of oil and saute the onion until translucent. Add zucchinis, little by little, mixing to incorporate them. If needed, add a bit of water. Add diced tomatoes, salt and pepper. Let boil. Towards the end, add basil and parsley. This soup is incredibly tasty, but you have to like sour tastes to enjoy it. It’s quite easy to make, and you can use canned tomatoes instead of fresh ones if you want to save time. You’ll need 4 big tomatoes, 1 zucchini, 1 onion, 2 garlic cloves, oil, salt, pepper, basil, parsley, curry and some corn kernels (canned). If using fresh tomatoes, bring a pot of water to boil, sink each tomato for 1-2 minutes. Put it under cold water, and peel away the skin. Cut tomatoes into small pieces and set aside. Peel and cut zucchini and set aside. Cut onion and garlic cloves. In the pot where you’ll cook the soup, pour a bit of oil and cook the onion and garlic for 2-3 minutes or until translucent. Add zucchini and tomatoes. Add some water if needed (1/2 cup of water should do it, since the veggies are gonna release a lot of juice). Cover and simmer for 10 minutes. Add salt and pepper, and just a pinch of curry (optional). Cover and let boil, mixing every now and then. When the veggies are cooked, add basil and parsley. Add corn kernels and bring to quick boil.